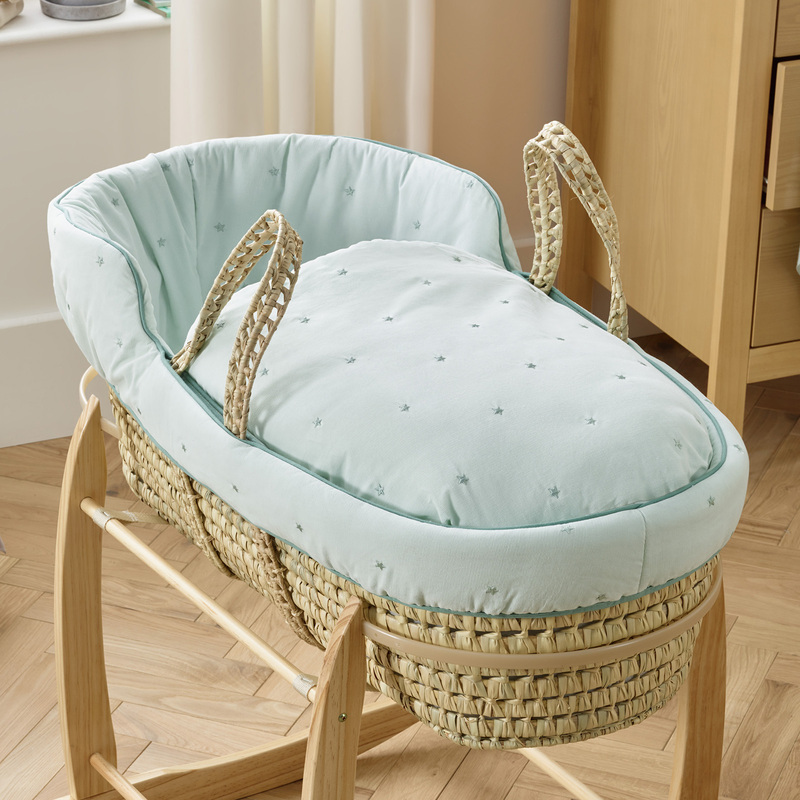 With over 70 years of experience, when it comes to choosing your baby’s first bed, you can trust Clair De Lune to offer the ultimate in style and comfort. 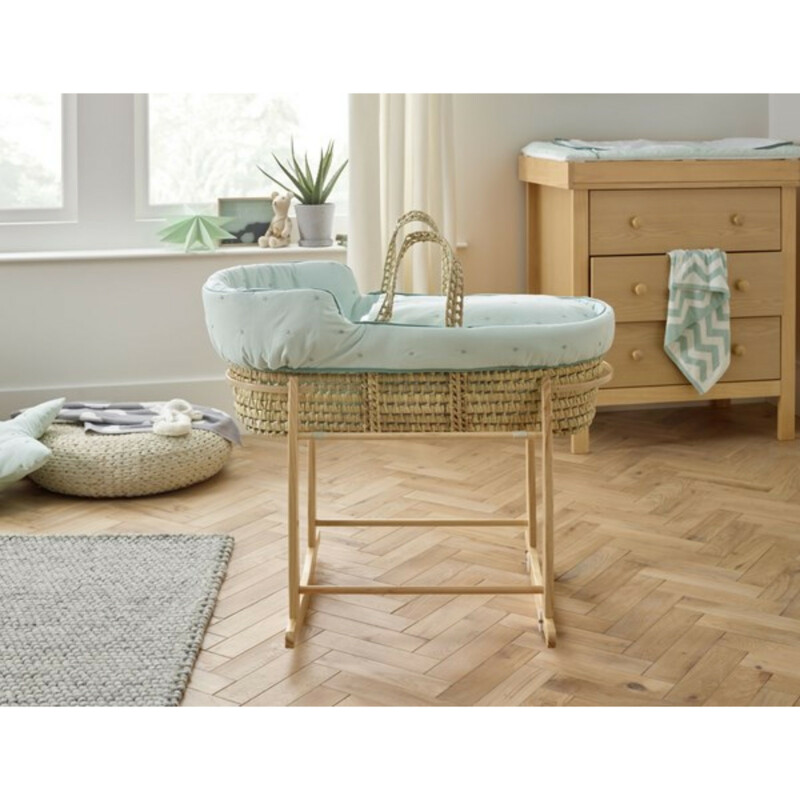 Made from strong natural palm leaf, the woven High Top Moses Basket has been hand-dressed in the UK and is complete with handles so that you can easily transport baby from room to room without the need to disturb them. 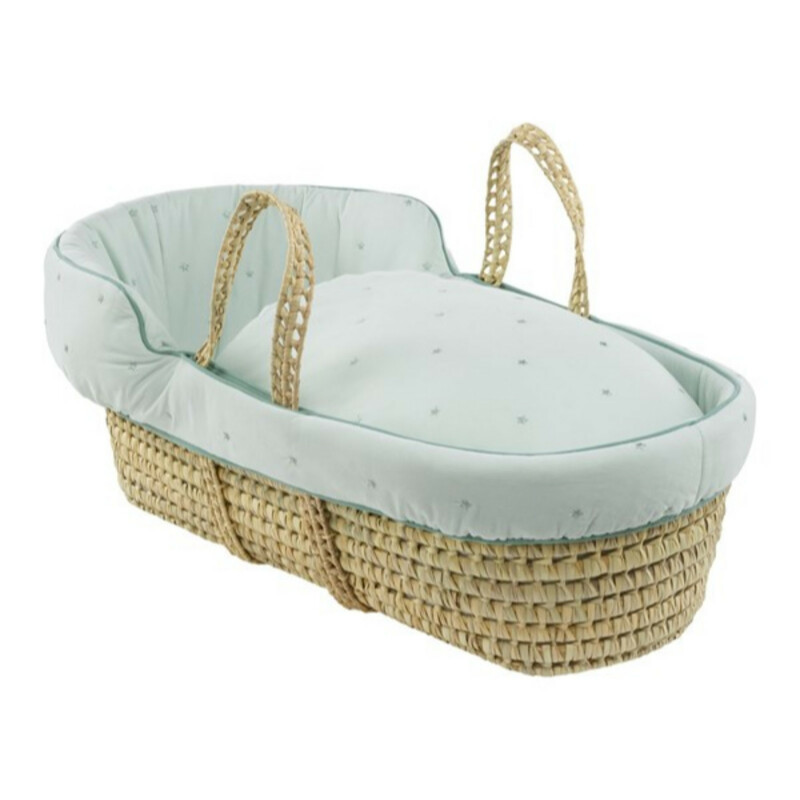 The High Top Moses Basket does away with the traditional hood, but does feature a padded liner and safety mattress to offer baby luxurious levels of comfort and a safe and secure environment in which to sleep. 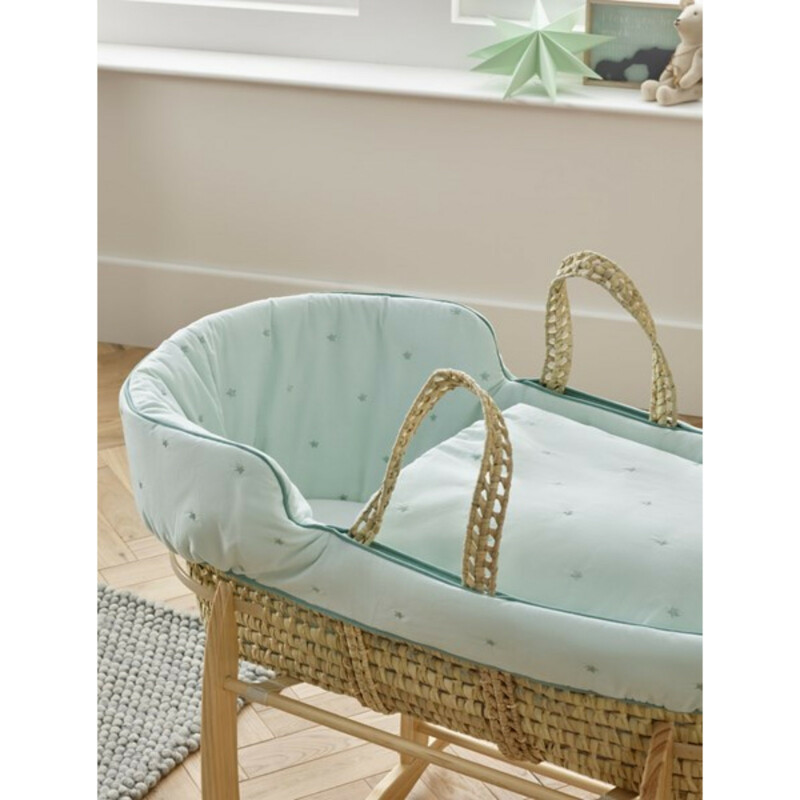 Featuring delicately embroidered stars set on a coordinating background, the Lullaby Stars moses basket is the epitome of style and quality.